If you can't stand the heat, turn off that stove. Put away the charcoal. All you need for summer's freshest recipes is a visit to the farm stand and a really sharp knife. The funny thing about great summer cooking is that the best of it involves no actual cooking. The ingredients basically do the work: delicate sugar snap peas nestling among fat chunks of watermelon; crisp radish rounds falling on pearly, raw scallops. In summer, food can be easy. But not necessarily simple. Knife tip: Thinly sliced scallops are tender enough to eat raw. 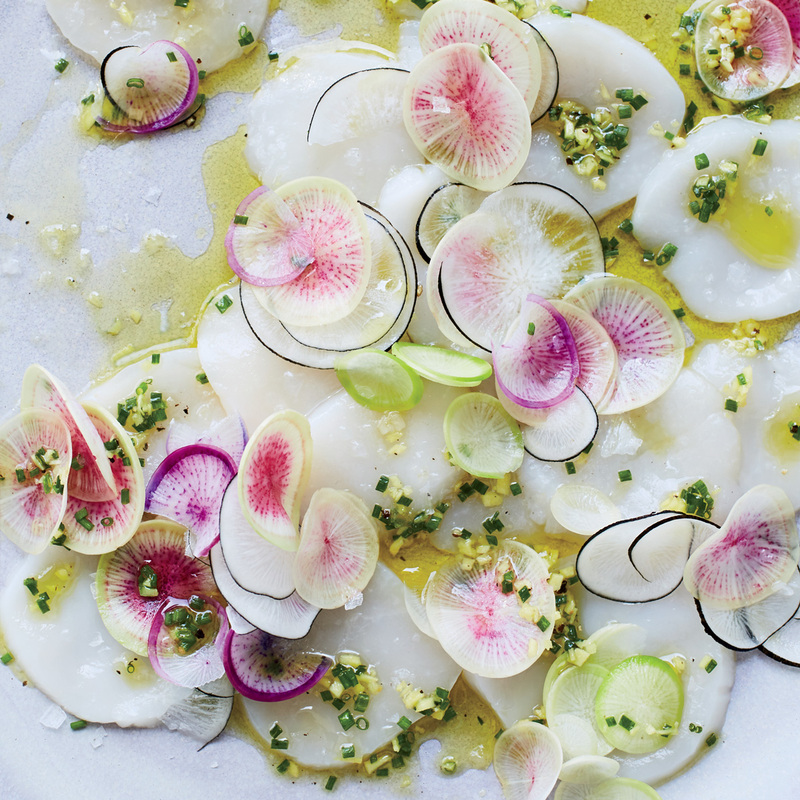 They're topped here with radishes and hand-cut ginger-chive pesto. Because in the most basic act of cooking—the cutting—there is deep meaning. Sometimes I think this, not the mastery of fire, is really what separates us from animals. A tiger might conceivably happen upon some poor antelope that was fried by lightning. But only a human will ever know how slicing carpaccio translucently thin lets it dissolve between your teeth. Considering that the first, most primal part of eating is biting food into pieces, how brilliant is it that people have dedicated thousands of years of craft and ceremony to taking that work out of our mouths and putting it into our hands? I once saw a sushi chef pick up his knife, wicked as a straight razor smoking cigarettes, and nick it into the side of a daikon. He made the smallest motion, a bare tremble, and began shaving around the radish, unspooling it into one long, ribbon-thin sheet. His tool was from a 400-year-old knife-maker; the chef had spent five decades of his life training how to use it. Watching him meditate on the precise point where blade met food, I realized that this was a form of devotion. It was what he was meant to do. 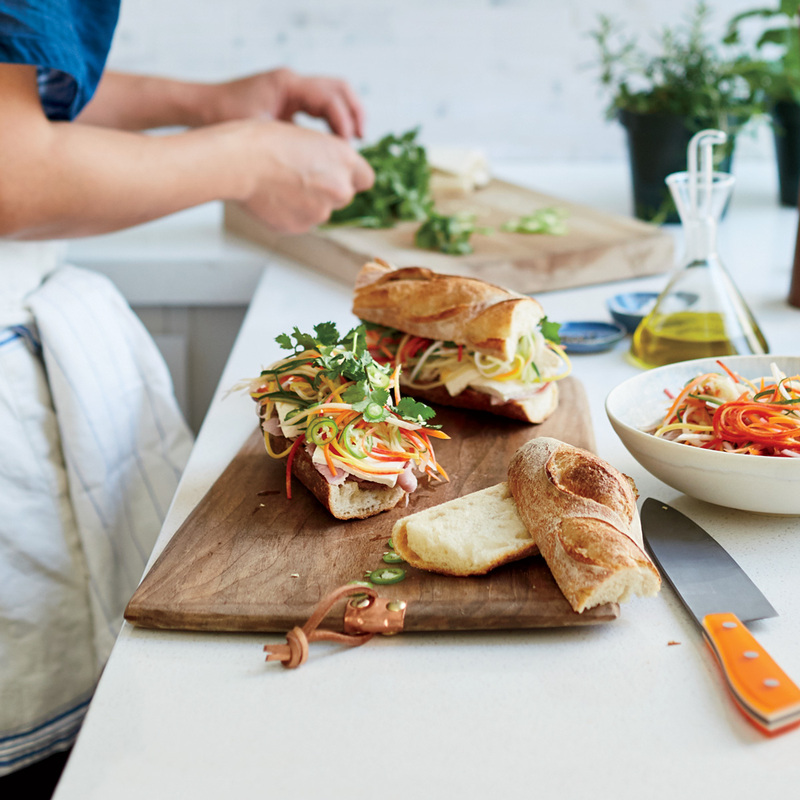 Knife tip: To julienne carrots, cucumbers and daikon for the quick pickles in these sandwiches, slice the vegetables on a bias about an eighth of an inch thick, then stack and cut into matchsticks. 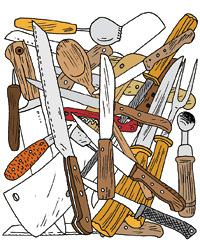 I remember this when I think about how all you need is a knife—a trusty, sharp one—to truly transform ingredients. More than that, using a knife also helps focus your mind. You can slow down and put everything you have, for just a moment, into a simple act that nourishes you, in more ways than one. In summer, the ingredients may be doing the work, but you are doing the living. 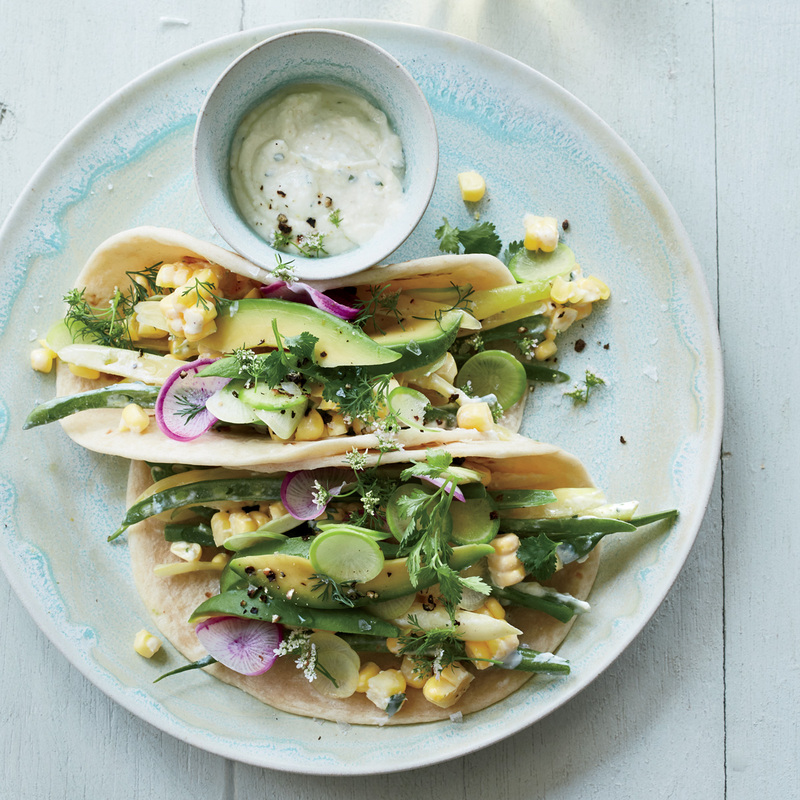 Here, we toss sweet summer corn and raw green and yellow wax beans in a creamy, tangy mix of yogurt, feta, olive oil and cilantro to use as the filling for tortillas. It's a great vegetarian meal on a hot day because there's no cooking involved. Just be sure to get the freshest corn and beans you can find. Knife tip: Once you've cut the kernels off of corncobs, use the back of the knife to scrape the sweet "milk" from the cobs to flavor the crema for these incredibly good vegetable tacos. For slicing steak, whacking coconuts--pretty much anything. The side of the blade is great for crushing garlic. 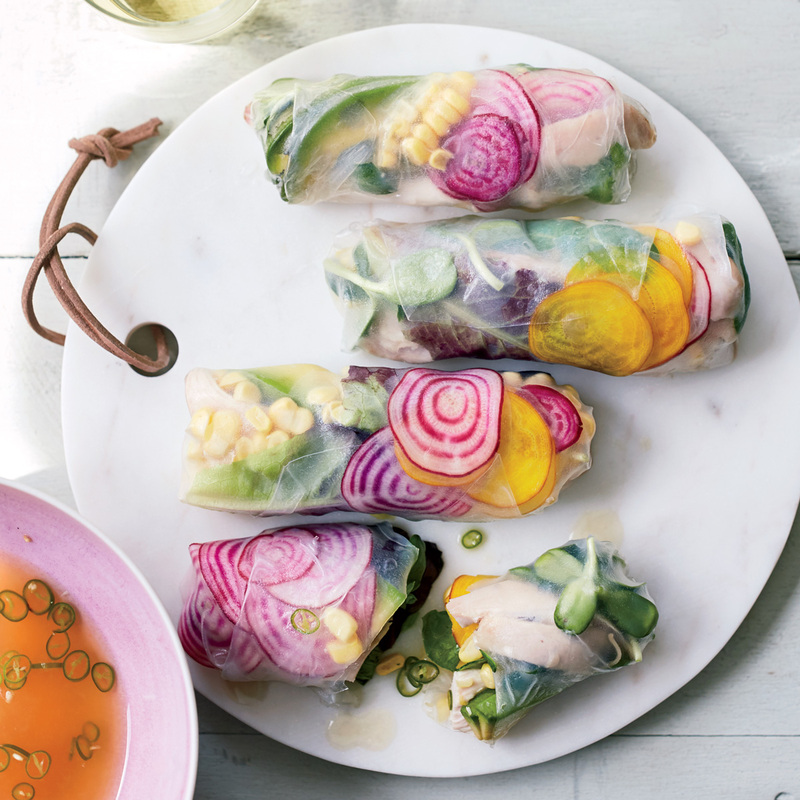 Knife tip: When sliced superthin, raw beets become surprisingly pliable and supple enough to fold into a summer roll with avocado, corn, sprouts and chicken. A paring knife picks up where a chef's knife leaves off. It's ideal for slicing and mincing smaller ingredients and for peeling fruits and vegetables. We love cold dishes like this on hot summer days. This recipe from Food & Wine's Justin Chapple is a fun riff on fattoush, the classic Middle Eastern bread salad. 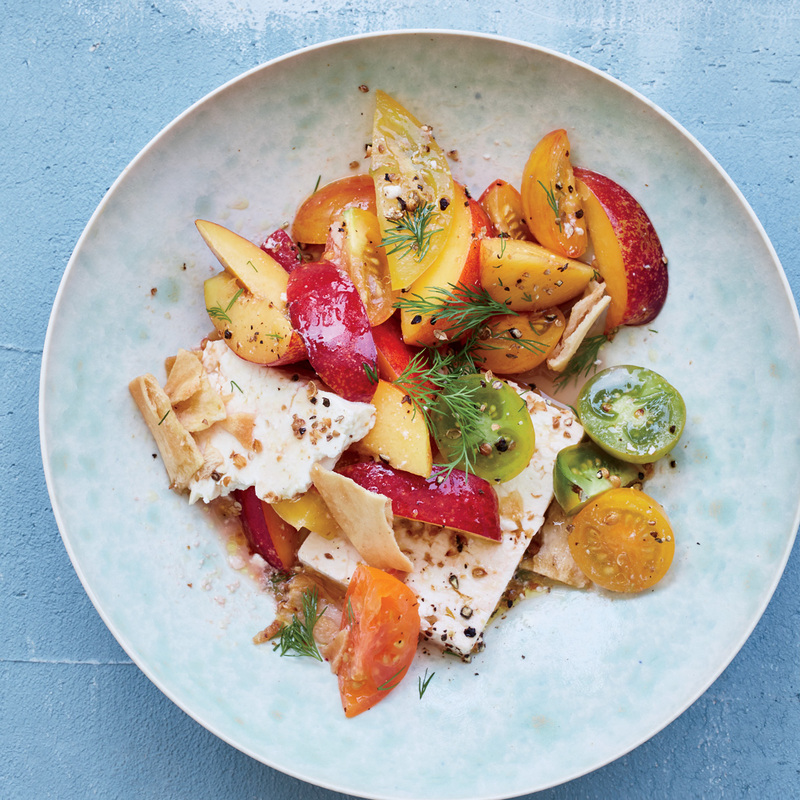 Chapple covers feta in olive oil and coriander seeds, then uses the marinade to dress nectarines, tomatoes and pita chips. Knife tip: Feta absorbs dressing better when cut into thin slabs. The cheese, nectarines and pita are delicious paired with a tangy coriander-spiked vinaigrette. The toothed blade is as useful for slicing bread or foods with waxy surfaces like tomatoes. 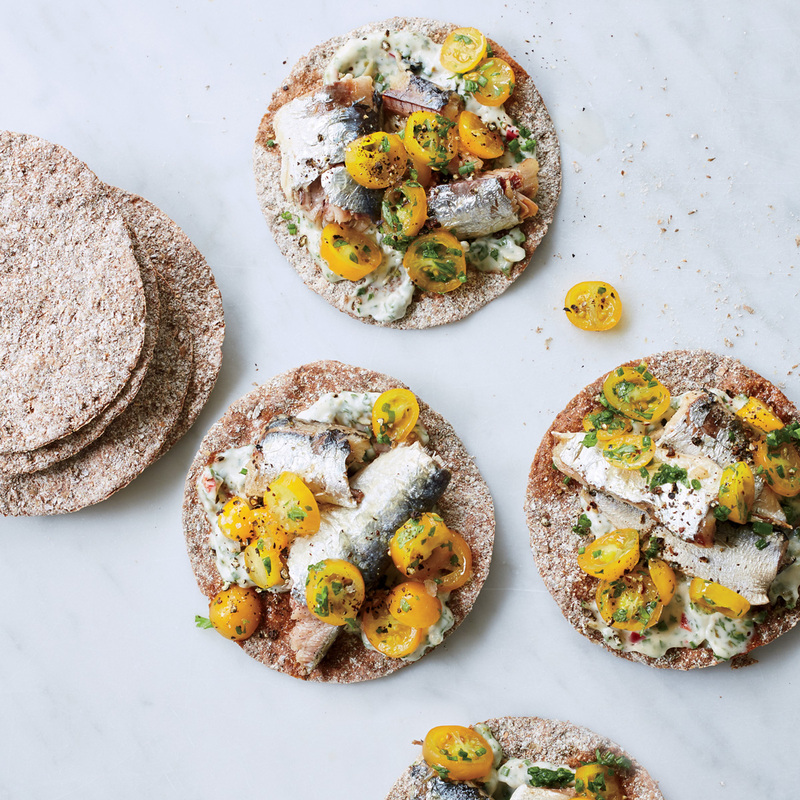 This tasty snack recipe from Food & Wine's Justin Chapple makes the most of canned sardines. Chapple prepares a bright herb mayo to spread on rye crisps, then tops them with a cherry tomato salad and good-quality sardines. The juices from the tomatoes soften the rye crisps ever so slightly. Knife tip: Cherry tomato halves might roll right off these rye crackers. Cut them into slices with a serrated knife instead, then set on the crisps with sardines and herbs. Kramer, one of 120 master bladesmiths in the US, has a cult following, especially among chefs. After running tests on some recent orders of steel, the admitted control freak was not happy with the quality. So he set up a crucible and induction cooker in his Seattle workshop to make his own steel. “Thomas Keller has his own gardens so he has more control over ingredients. That’s what I’m trying to do.” He also adds a dash of meteorite, melting it to create bright streaks of nickel in the blade. His obsessive craftsmanship has led to so much demand that he only sells via lottery on kramerknives.com. Show off your new knife skills with these Easy No-Cook Dishes.